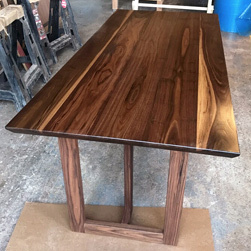 Victoria - DT-90314_TL-80058 - Natural American Walnut Table in Rectangle Shape with White Base. 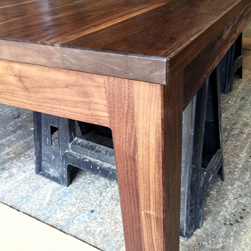 The Victoria table's timeless style could easily fit in any dining room or office setting. 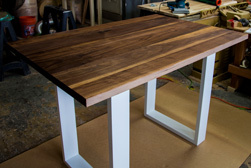 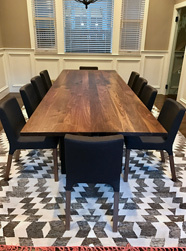 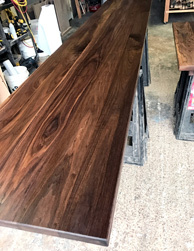 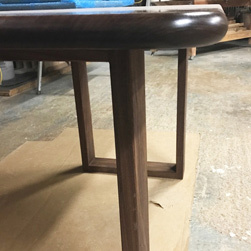 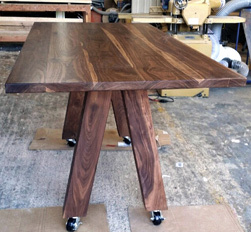 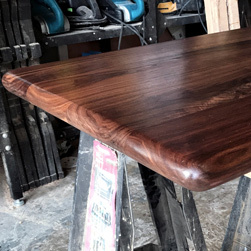 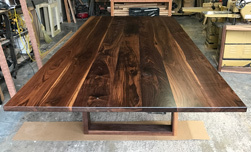 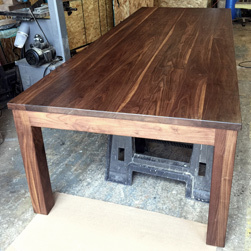 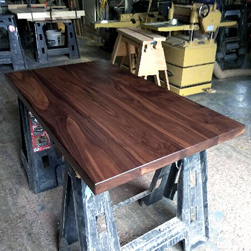 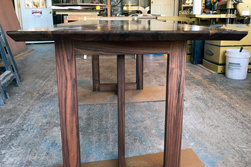 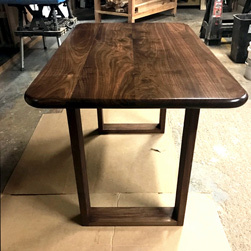 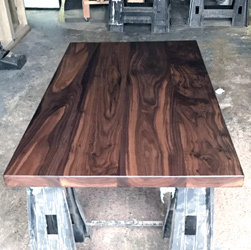 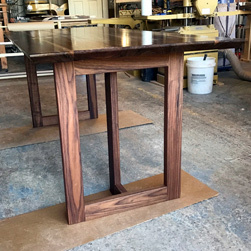 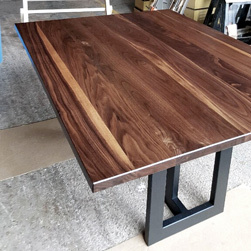 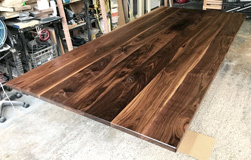 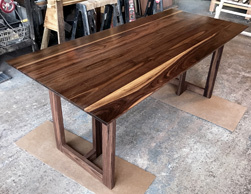 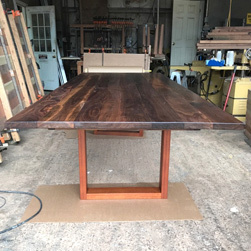 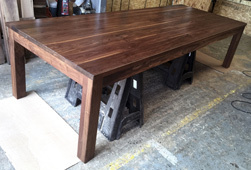 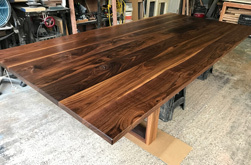 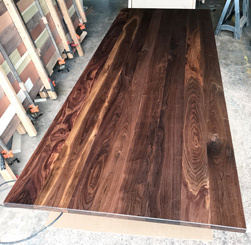 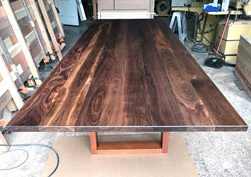 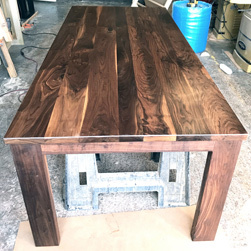 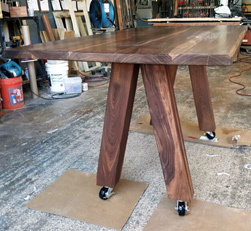 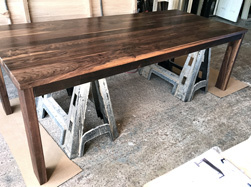 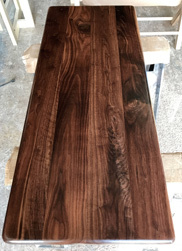 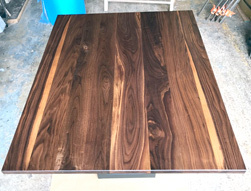 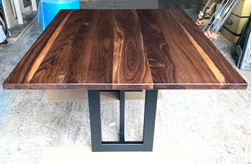 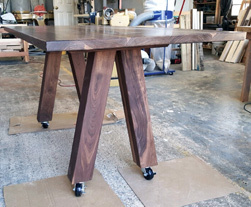 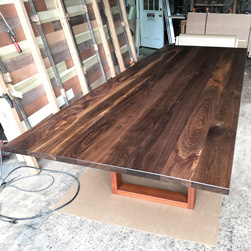 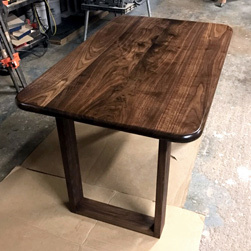 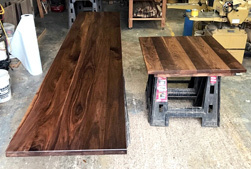 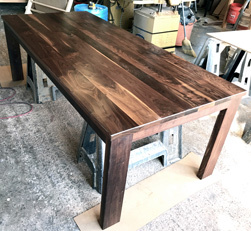 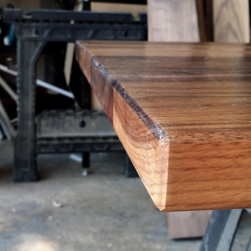 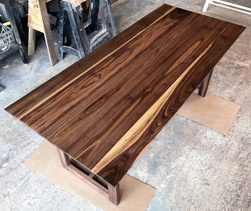 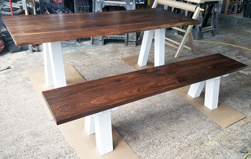 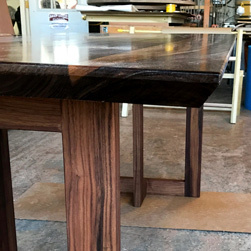 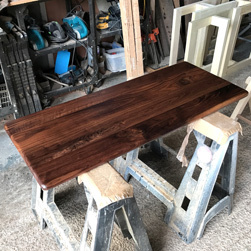 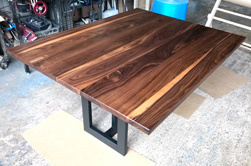 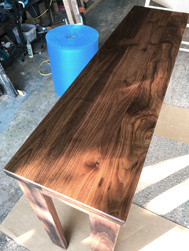 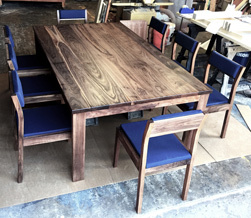 The rectangle shape table top is made from solid american walnut wood and the table legs are made from poplar.